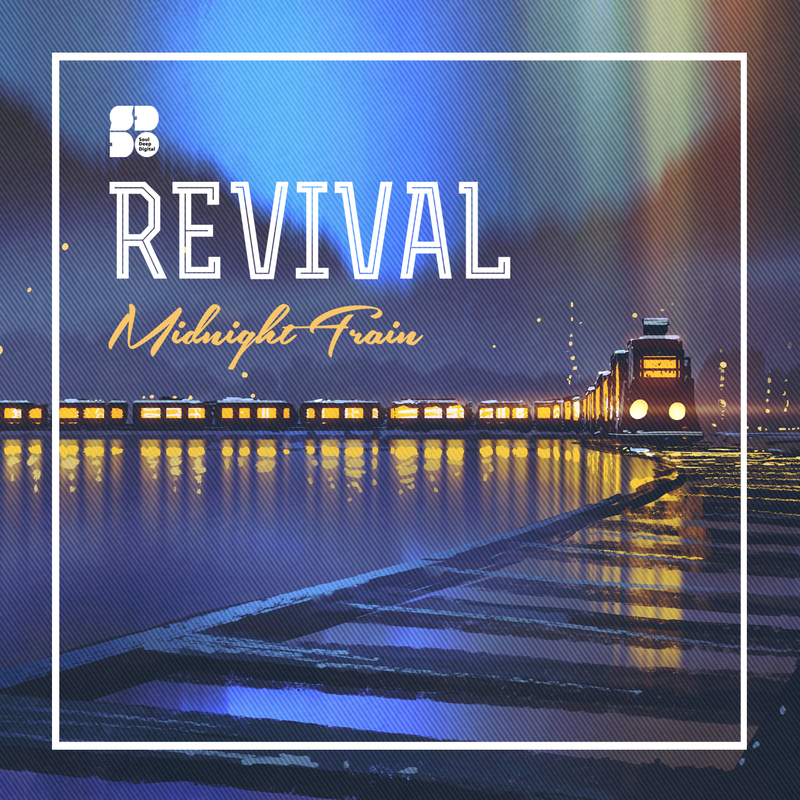 Soul Deep Recordings and Revival are proud to announce the new Midnight Train EP. Revival, who hails form Portland, Oregon, returns to Soul Deep in outstanding fashion with the new Midnight Train EP. The EP features 4 cuts of deep dancefloor mayhem, that will set his unique style of production apart from other producers. The EP kicks off with the title track, “Midnight Train,” which combines classic breaks, spacey samples, huge sub bassline, and a stand up bass layer that will surely move the crowd. “Suspect,” is up next and features hard hitting drums, chiming keys, rumbling sub bassline, and epic soulful vocals that add a sensitive touch to the pulsating groove. “Groovin’,” is up next and is highlighted by jazzy piano licks, fluttering echos, and a heavily percussive break, which is layered perfectly with a rumbling sub bassline. “Over Me,” finishes things off in stylish fashion with its slick percussive elements, Amen Drum sample, groovy pianos, and punchy 808 bassline. Revival definitely hits the mark with this new EP. Unique flavors galore! !